Four for a quarter. 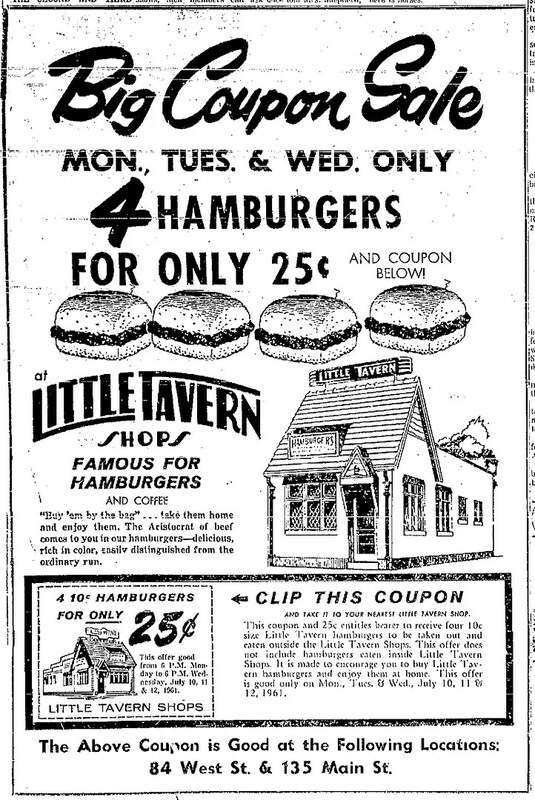 Good at the two Annapolis locations, which, like all Little Taverns, are unfortunately long gone. The ad is from 1961.